The average cost to replace a front door ranges from $600 to $1000. It adds immediate curb appeal, freshens up the front of the home and provides an amazing ROI. Some studies show it adds 100% or more of what you paid for the new door to the value of the home. It’s hard to beat a return like that! 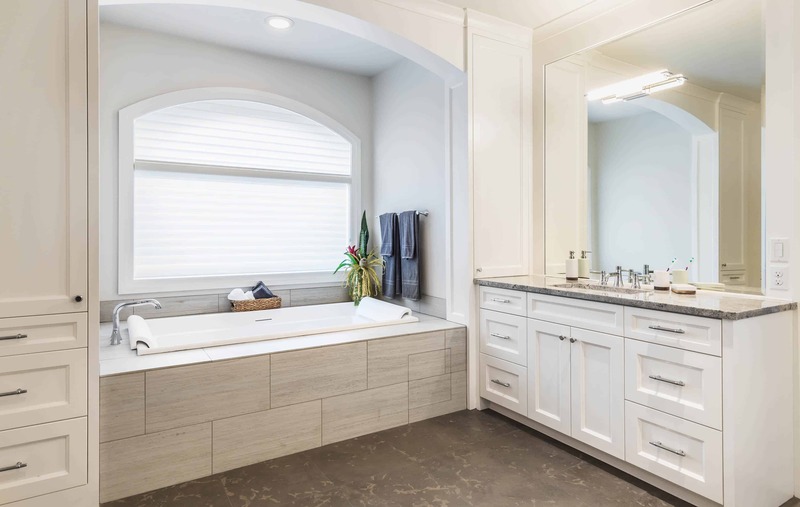 A full bathroom remodel will always be an excellent way to value to your home and is one of our favorite projects to take on. Why the bathroom? It is commonly the most trafficked room in the home. 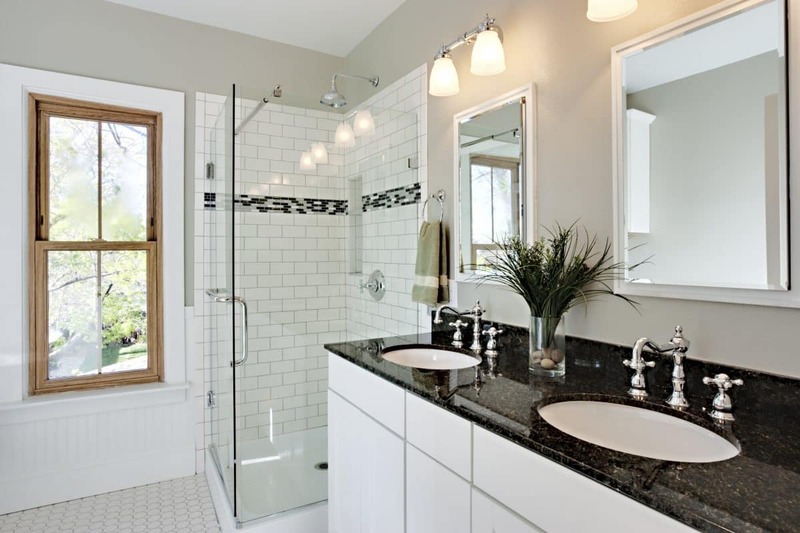 Besides the kitchen, no other home renovation can improve the impression and value of your home at a cost as low as $10,000. Many homeowners have been spending over $20,000 for kitchen remodeling projects, and for good reason. A great looking kitchen can sell a house by itself! But for those looking to stick around for a while, new countertops, cabinets, flooring, lighting, and the addition of an island can really brighten your home and your mood! Even something as inexpensive as new cabinet hardware can also refresh an otherwise outdated look. Kitchen backsplashes no longer just protect walls from splatter. A wide array of eye-catching materials like glass, wood, metals and stone make the backsplash the focal point of today’s kitchens. Adding a new backsplash to your kitchen is a remarkably easy way to transform it. 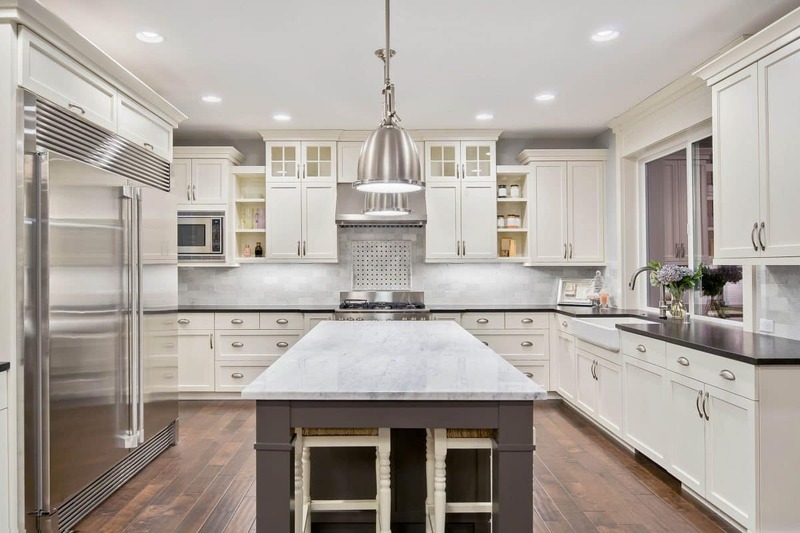 Of course don’t forget that along with new cabinets and countertops, another way to update your kitchen is with new new energy-efficient appliances, such as a dual-fuel range with convection double ovens, a high-tech range hood, refrigerator, and dishwasher. While vinyl siding has certainly dominated the last decade, believe it or not there are many different kinds of siding: wood, brick, and stone are becoming popular as well. Brick and stone masonry siding have a number of benefits. They give your home a luxurious, classic look. They are also relatively low maintenance and will last for many years. They keep your house warm during our cold Rhode Island winters and cool in the summer since they provide great insulation. But vinyl is still king due to its affordable cost, its looks, and minimal maintenance. It requires no painting like metal or wood siding. To wash it, all you need is a garden hose or power washer. Vinyl siding has a long life with persistent beauty and low maintenance. It is a durable plastic that will not rot or flake, is available in several dozen colors, and can mimic architectural details that were once made from wood and stone. Consider vinyl siding especially if you don’t want to paint your home every 7 to 10 years. The window industry has changed dramatically over the years as energy efficiency became popular. Many homeowners here in Rhode Island and Massachusetts are replacing their old, beat-up heat-bleeding windows with energy-efficient windows that keep all that expensive warm air in the home where it belongs. The overall price to replace your windows will depend on the window style, efficiency rating, and number of windows you choose to update. But windows replacements can return 75% of their cost to the homeowner through energy efficiency and appeal. For more information on the efficiency ratings, visit Energy.gov’s windows page.